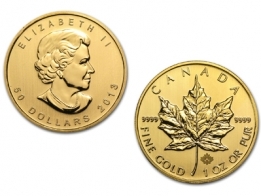 The Canadian Maple Leaf coin is the most popular series produced by the Royal Canadian Mint, and comes in gold, silver, platinum and palladium. 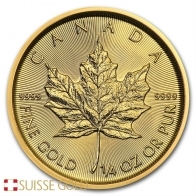 This is one of the most popular gold coins among precious metals investors, due to its design and its low premium. 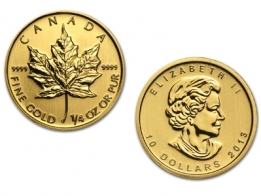 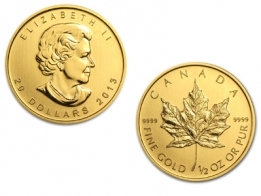 Clients looking to invest in gold coins should consider the Canadian Maple Leaf series.